So he storms off - and then shows his mother the Library, showing off all what he’s involved with and all the shinies inside. Yes it’s stupid, but how many of us have wanted to impress our parents? And how many of us have lost our temper and wanted to show them? So family introductions are made which is awkward but polite - and it’s clear Lenore has been using the door non-stop to steal all the things. Jakes also recognises and informs us all about the Patron Saint of thieves at the shrine in case we needed it clarifying. Reunions are paused though when a) the globe of magic doors catches fire and b) Jake and Ezekiel discover that Lenore has used the door to steal something from someone who will be super super super pissed and definitely able to find her. Time for a heist to return stolen goods, on Santa’s Sleigh no less. 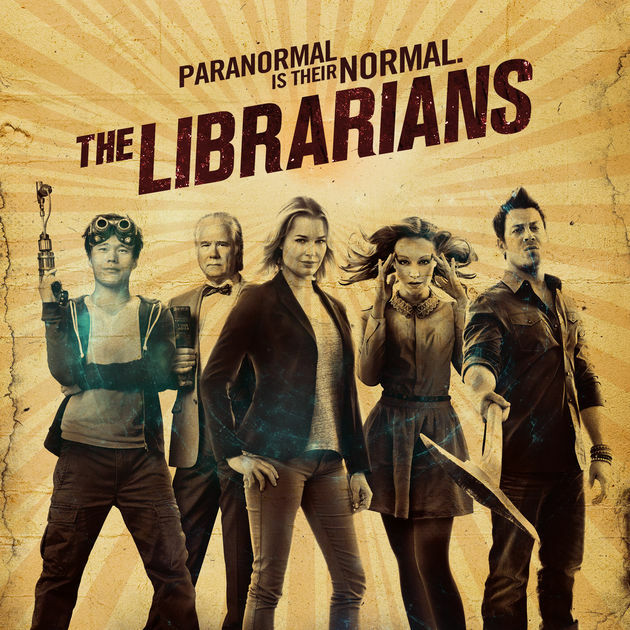 Because Librarians. They head to the Thieves Bank, hidden in Switzerland, run and used by international thieves everywhere and everything is super impressive and secret. And deadly - thieves play nice or they get squished by lasers. Lenore also gets a bit more of an education about her son - being warned not to use his name because he is famous. She also hears that faberge eggs are worth several million dollars (“Why didn’t you tell me!” “google it, mum!”). Ezekiel breaks out all his very very very impressive thief skills to get into the vault (much to the shock and awe of his mother). Which is where they’re caught, of course. The Saint demands the sleigh but as a magical fictional creature he has rules. He can only take a gift that is freely given without woo-woo coercion. And he can only accept a gift that is stolen. To which Lenore, thinking fame and fortune, steals the key off Ezekiel and gives it to the Saint. I’m sure we’ve seen enough avarice out of Ezekiel to make this a little of a retcon - but we’ve also seen him far far more interested in the challenge and winning. Since the sleigh is being given by its rightful owner, the Saint of Thieves cannot accept it - and he cannot accept it from anyone else either because it isn’t being stolen: it’s being freely given by the rightful owner. The Saint of Thieves can now never own Santa’s Sleigh - and Santa’s Sleigh can only be destroyed by the one who owns it. There’s always fine print in magical rules - and Jenkins is the supreme king of doing this. This causes the Saint of Thieves to turn into a bad tempered child (literally) and Jenkins takes him home to Santa Claus. His goons don’t stop Jenkins because, well, Jenkins.